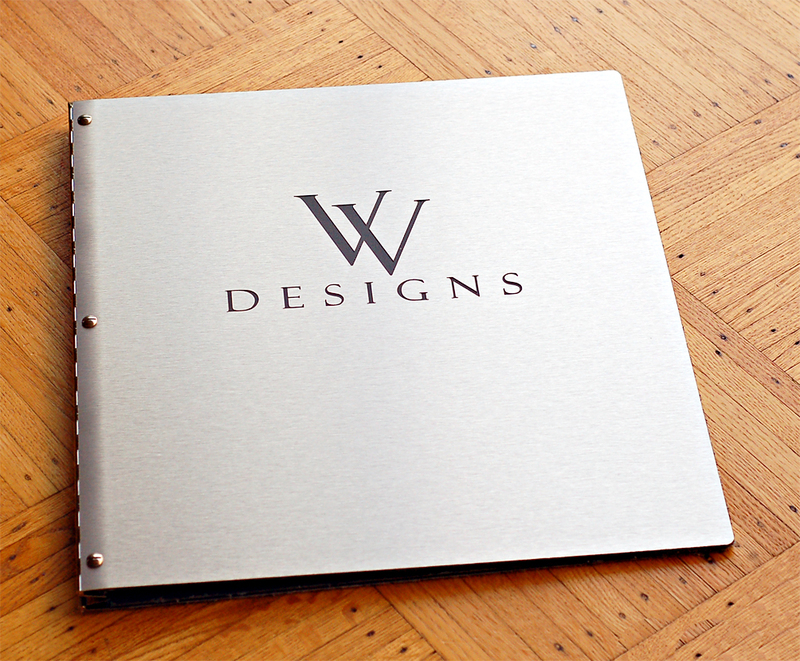 Our client was looking for an over-sized 14 x 17 brushed aluminum portfolio book that would make a statement. 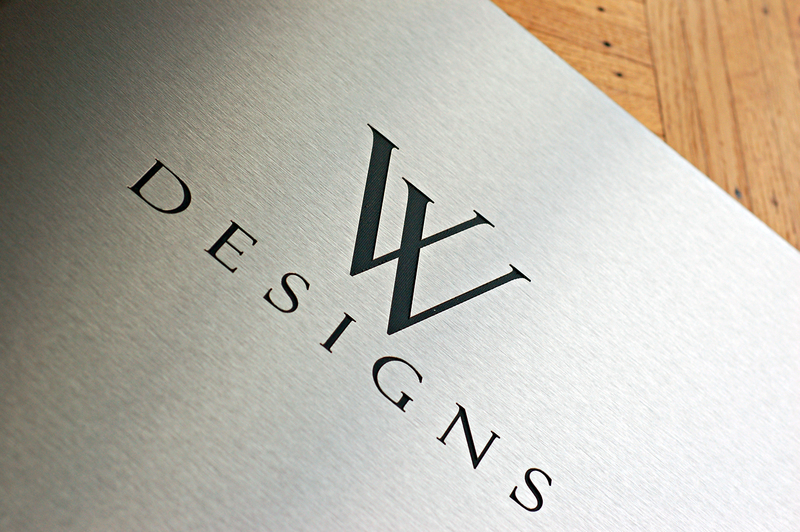 We went with a logo engraving on the cover which reveals the black polyethylene core of the brushed aluminum material. The result: A sharp and impeccable black logo engraving that stands out in contrast to the stealth shiny aluminum. We can help you create your own custom fashion designer portfolio book that will pop out from the rest. Learn how to by reading our simple design guide that will help you prep your files and visit the Klo Flickr page for examples of our latest work. If you have any questions, shoot us an email at info[at]kloportfolios.com.